Tomorrow, Daredevil launches on Netflix, and I’m ridiculously excited for it. Daredevil is my favourite Marvel superhero, and I’ve been anticipating his arrival in the MCU ever since Marvel announced they’d got the rights back from Fox. When, from there, we got news that Daredevil would be adapted as a Netflix series my hype grew, and has steadily been building and building to critical mass with each new casting announcement, picture, trailer, and glowing review. So, with one day to go and me sat here feeling like it’s Christmas Eve, I thought I’d immerse myself in my love of Daredevil a little more by sharing my top 20 comics starring everyone’s favourite blind lawyer/superhero. I got the idea from Comic Book Resources. They’re running a Top 50 Greatest Daredevil Stories feature right now, and for that I came up with a Top 10 list when voting. In doing that, I realised how easy it would be to stretch that out to a Top 20. That in itself speaks to the strength of Daredevil as a character: I don’t think there’s any other Marvel hero I could come up with a Top 20 favourite stories list for. I should note that, in any entry on my list taken up by a story from Mark Waid’s run, the title is made up by me, as Mark Waid didn’t give his stories titles. For shame! You’ll also find that my list both skews modern, and has some key exclusions. For example, there is nothing from Ann Nocenti’s run. Ann Nocenti and John Romita Jr’s work on Daredevil made up some of the first Daredevil comics I can remember reading, but since with most of them it’s been near 20 years since I read them I don’t think I can remember them well enough to fairly rank them. But enough preamble. Here’s my list! I absolutely love this story, and as a comic in itself would likely rank it above a few of the entries in my top 20. So why is it not in my top 20? Well, the title gives it away. It’s not a Daredevil comic, and Daredevil himself never appears. But it’s worth a mention because it takes some key figures from Daredevil’s supporting cast – The Kingpin, Bullseye, Vanessa Fisk, Elektra – and reimagines them as charactes to fit into the MAX universe inhabited by Garth Ennis’ aging-in-real-time Punisher. The result is that Aaron and Dillon give us the most visceral, monstrous depictions of The Kingpin and Bullseye seen in any comic in recent years, making the series a must-read for any fans of the iconic Daredevil villains. This issue seems to be one of the less acclaimed of Frank Miller’s landmark run on Daredevil, but it’s one that I will always remember fondly, perhaps because I have memories of reading it very early as a young comic fan. But even looking back at it now, I think it boasts some of Miller and Klaus Janson’s most striking imagery, from Daredevil hobbling around with his leg in a cast to Daredevil and Ben Urich plunged into murky water with an alligator swimming towards them from the depths. In this issue, Ben Urich discovers that Wilson Fisk’s wife Vanessa – thought to be dead – has been trapped in a subterranean society, and Daredevil must rescue her. I know this is a very recent addition to the Daredevil canon, but it made such an immediate impression that I think it very quickly earned this spot so high up in my estimations. The Purple Man was reinvented in Alias as one of Marvel’s most terrifying villains, so on the surface it may have seemed an odd fit for him to return to his old stomping grounds in Daredevil in its current upbeat phase. But the transition works, and The Purple Man remains as frightening as ever, as he gathers the various illegitimate children he’s had over the years and discovers they have powers of persuasion to surpass even his own. But what really sets this storyline apart is how it peels back the scab that’s been quietly growing at least through Mark Waid’s run and arguably longer, and directly tackles the notion of Matt Murdock as a sufferer of depression in a really potent, moving fashion. I think this is all the more powerful in light of recent news stories that have served to stigmatise mental illness, showing that it can afflict superheroes too. In a way, this is a bit like Daredevil’s version of a story like Knightfall or Hush where Batman is forced to go up against multiple enemies back-to-back. After a lengthy absence after an attempted assassination, The Kingpin has returned to New York City to reclaim his criminal empire. 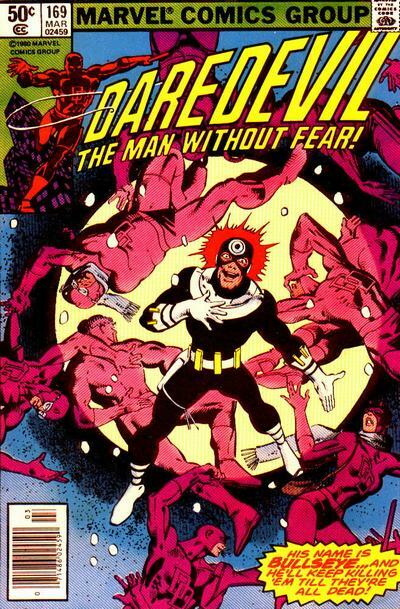 To keep Daredevil occupied, he hires the services of both Typhoid Mary and Bullseye, leading to a gauntlet where Daredevil must go through both of them and finally The Kingpin himself. As someone who ranks these three as Daredevil’s three greatest foes, this was fun reading for me! What was also clever was that, in light of Matt Murdock being outed to the press as being Daredevil earlier in the run, it upended the way these foes come after him. Typhoid Mary attacks Matt on a busy street in broad daylight. Bullseye sneaks into his bedroom at the dead of night and nearly kills his girlfriend, Milla Donovan. And in the final confrontation between Daredevil and The Kingpin, Bendis throws another shocking status quo change at us. This is a low-key little done-in-one in Mark Waid’s run on Daredevil, but like the entirety of that run, it is a delight. Here, after a year of flirting and coyly dancing around one another, Matt Murdock and Kirsten McDuffie finally go on a date. And in an issue spent entirely out of costume, we just get to enjoy spending time with Matt Murdock as a person, making this issue a wonderful showcase for how Waid has managed to bring out the character’s likeability. Running through the issue is also an enjoyable flashback to Matt Murdock and Foggy Nelson in law school, highlighting an episode where their lasting friendship was cemented: something that takes on a poignant note given future story developments in the run. This issue is also noteworthy for being the first drawn by Chris Samnee, who would go on to become “co-storyteller” with Waid and establish himself as one of the best ever Daredevil artists. Bullseye is one of my favourite comic book villains, has been for a long time. And it’s thanks to Frank Miller that he was elevated from a throwaway costumed crook to being such a memorably wicked thorn in Daredevil’s side. This issue here was one of the key issues that helped to cement Bullseye’s reputation as an A-list baddie. In the story, Bullseye is suffering from a brain tumor, which makes him start to imagine everyone as Daredevil. He reacts as you might imagine Bullseye would, resulting in a killing spree through the streets of New York City. One of the best things about Miller and Janson’s acclaimed run on Daredevil were their masterfully executed fight scenes, and it seems that none were more hard-hitting than when Daredevil matched up with Bullseye. We get one such memorable fight here. Though, of course, there were more to come. Certain actions by Matt Murdock in the first year of Daredevil, Vol 3 have angered the authorities of Latveria, and so in this storyline, Daredevil find himself kidnapped and held prisoner in Dr. Doom’s dominion. The story gets really interesting when the Latverians subject Daredevil to a chemical that slowly neutralises his other senses, causing his radar sense to vanish, and for him to gradually go deaf and be unable to smell, taste or touch. Waid and Samnee do a great job of making us feel the horror of Daredevil’s plight, going from someone who has turned his disability into a strength into someone rendered truly helpless. It’s a nice foreshadowing of the grisly fate that would be revealed for Bullseye later in the run. But the way Daredevil’s senses start to attempt to compensate becomes another visualisation of Daredevil’s true greatest power: his ability to always come back and keep fighting, no matter how low he has been laid. “Return of the King” is actually a 5-part storyline that built up to the finale of Ed Brubaker and Michael Lark’s run in the renumbered Daredevil #500, and it’s a good storyline. 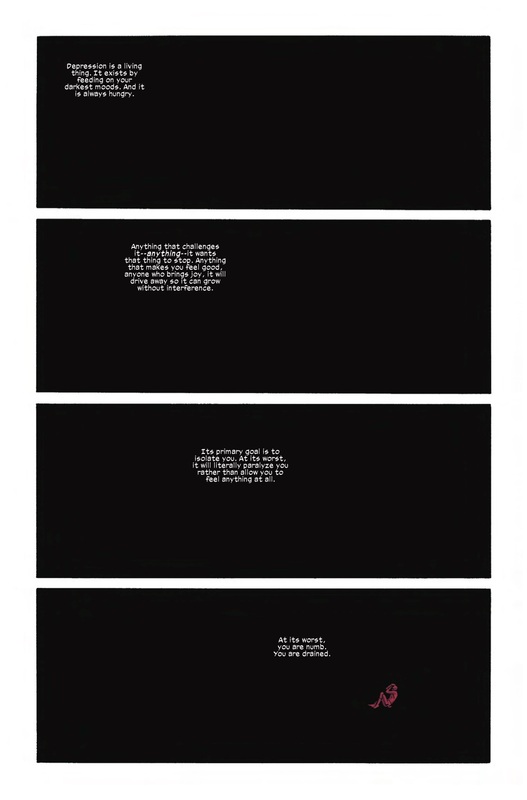 But for this particular list, I’m highlighting the opening issue that serves as the prelude, drawn by guest artist David Aja, in which our focus is entirely on Wilson Fisk. It’s a fascinating exploration of his character, what makes him tick and his complex relationship with Matt Murdock. In the story, Fisk has once again attempted to retire from his wicked ways, moving to a quiet village in Spain to start a new life. He has met a woman with a young child, and they have become a surrogate family to him. But then Lady Bullseye tracks him down with hopes of making him become The Kingpin once again, and tragedy unfolds. Brubaker uses some clever narration here, having Fisk not in 1st person but in 2nd person, “You shouldn’t have done that, Wilson,” etc. While the 1st person narration often employed by Matt Murdock makes us relate more to him, this 2nd person narration distances us from Fisk, and it also underlines an accusatory, self-loathing tone. Another great Kingpin story here, with this being particularly significant in that this is where Frank Miller transformed The Kingpin from an outlandish Spider-Man villain into Daredevil’s arch-nemesis. Wilson and Vanessa Fisk had been living in quiet retirement in Japan, but when they plan to put behind their criminal connections for good by turning state’s evidence against their former affiliates, Vanessa travels to Hell’s Kitchen to seek the legal counsel of Nelson & Murdock. But things go wrong when The Kingpin’s former underlings kidnap her to draw Fisk out of hiding. When he does indeed return, it’s far more than they bargained for, and we see just how ruthless The Kingpin can be when what he loves is threatened. Bullseye enters the fray as well, switching allegiances from Fisk’s opponents to The Kingpin himself, and having another memorable battle with Daredevil. But the storyline is most significant in how it lays out the template that would establish The Kingpin as arguably Marvel’s best villain. Before Brian Michael Bendis’ great run on Daredevil with artist Alex Maleev began proper, he penned this 4-part storyline brilliantly drawn by Dave Mack. Daredevil himself doesn’t show up until late in the story, with our key protagonist instead being reporter Ben Urich. Loser villain Leap-Frog has gone missing, and his young son is in a catatonic state, drawing violent pictures that seem to involve Daredevil. And as Urich pieces the story of what really happened together, it reveals a harrowing tale of abuse that brings up flashes of Urich’s own childhood. When Daredevil eventually does enter the story, the gentleness and compassion he shows the troubled child are truly touching. And it’s all portrayed in stunning fashion by Mack, who uses oblique, psychologically-representative tableaus that you wouldn’t normally expect to find in a mainstream superhero comic. A further showcase of just how versatile a character Daredevil can be. Jeph Loeb and Tim Sale, the team behind one of the greatest Batman comics ever, The Long Halloween, reunite for this retelling of Daredevil’s early years of crime-fighting. The narrative is pretty basic, revisiting some of the early villain encounters from the first few issues of Daredevil from back in the 1960s, but with a more character-driven focus on the love triangle between Matt Murdock, Foggy Nelson and Karen Page. But the romantic happenings are given an undertone of immense sadness with the framing device of a present-day Daredevil – grieving the now-dead Karen – writing letters to her to help come to terms with her loss. The true highlight here, though, is the beautiful visuals. The comic looks stunning, with Tim Sale’s distinctive character design and ink washes making each page into a breathtaking work of art. Also look out for a clever connection which puts this story into a shared universe with The Long Halloween. Years after his celebrated run on the character, Frank Miller returned to write one more Daredevil story, this time giving us a retelling of his origin which was apparently originally intended as a treatment for an abandoned film adaptation. It may not quite be optimum Miller, with him repeating a few beats from his iconic Batman work, but there’s a joy in seeing him slip back into writing Matt Murdock like one slips into a comfy old pair of slippers. The art is provided by John Romita Jr, and I’d venture to say this could be of the finest work of his storied career. In particular, the scene where he breaks up the child trafficking ring in a black tracksuit (which has gone on to form the basis for the “proto-costume” in the Netflix series) is a triumph of badass visuals. This story is very much a Matt Murdock story, with him not appearing in the famous Daredevil costume until the final page. But anyone wanting a definitive account of how Matt Murdock became the hero he is today need look no further than this. After the entirety of Daredevil Volume 2 took Matt Murdock on an ever-deepening spiral of despair, this Volume 3 relaunch was tasked with starting a whole new era for Daredevil. And Mark Waid and Paulo Rivera do so in style. Right from the first issue, the tone is wildly different. We have fun and adventure, we have outlandish villains like The Spot, we have Daredevil smiling! Paulo Rivera gives us crisp, clean lines, accompanied by the bright, bold colors of Javier Rodriguez. It really does feel drastically different from the moody, murky crime thriller the title had become. And yet, Waid makes sure that despite the radical surface change, the character’s history is still acknowledged and respected. In a wonderfully-drawn short by Marcos Martin contained within this opening storyline, Matt Murdock and Foggy Nelson have a conversation in which Matt lays out his new approach to life, closing the door in all the awful things that have happened to him and making a conscious decision to move forward. And it’s a decision that Foggy doesn’t necessarily think is healthy, marking the first signifier of the underlying darkness this run doesn’t always get credit for. I rank this opening 3-part story, in which Daredevil clashes with Black Panther villain Klaw, so highly because it’s the story that sets the tone going forward, and – after being a Daredevil fan for many years who ranked The Kingpin and Bullseye as his favourite characters – it was Waid’s grasp of Matt Murdock’s personality here that cemented Daredevil as my favourite character in his own book. 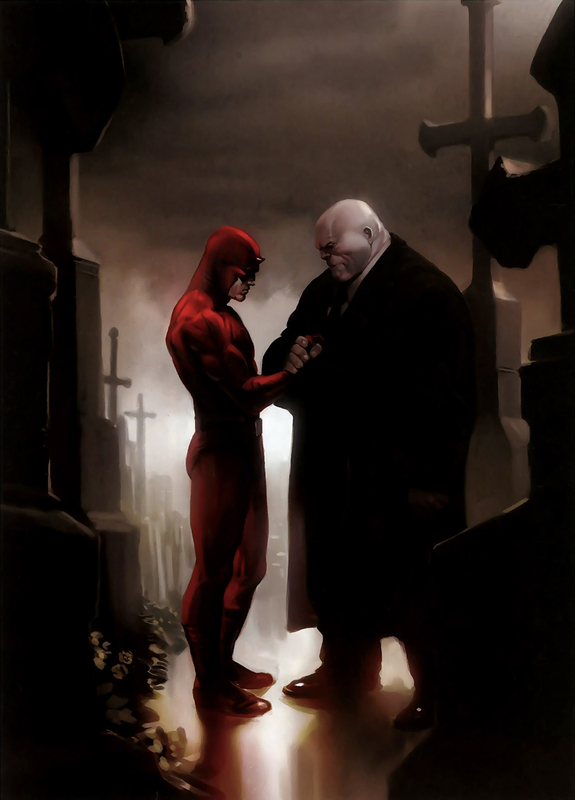 As celebrated as Alex Maleev’s work on his Daredevil run with Brian Michael Bendis has become, funnily enough, one of the best stories in that run was drawn by fill-in artist Manuel Gutierrez. Here, forgotten hero the White Tiger finds himself wrongfully accused of shooting a police officer while attempting to thwart a robbery, and Matt Murdock must represent him in court. 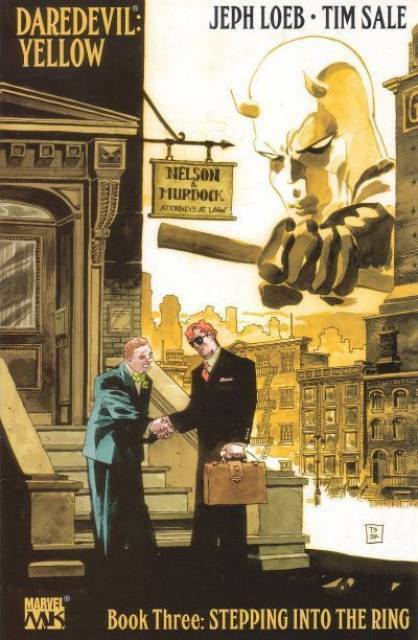 What follows is perhaps my all-time favourite story of Matt Murdock as a lawyer. Daredevil barely shows up at all in the storyline, with his lengthiest appearance being when he shows up in costume to meet Luke Cage and Iron Fist and they’re all like, “Umm, actually we were looking for legal advice.” No, this story stands primarily as compelling courtroom drama. With Matt Murdock himself recently being publicly unmasked as Daredevil at this point, that weighs heavily on the story, both in terms of Murdock’s own feelings about the White Tiger and on taking his case, and in terms of how the public and the media turn on costumed vigilantes. It’s infuriating to see the legal system steadily let down a good man stage by stage, and we feel Murdock’s growing frustration, but also recognise he’s maybe partly responsible for stirring up these nasty feelings against costumed heroes for which White Tiger is primed to suffer. The ending is heartbreaking. Earlier in the list, I talked about how the departing Bendis and Maleev set up a slam-dunk for incoming replacements Ed Brubaker and Michael Lark. Well, here’s the slam-dunk. The climax of the previous run left Matt Murdock in prison, alongside many of the enemies he put there, awaiting trial for his activities as Daredevil. Brubaker immediately establishes a hard-boiled tone here, making this feel like he’s turning his patented noir stylings to a prison drama, only with Daredevil characters. And there really is a lot of Daredevil characters. Murdock is joined in prison by The Kingpin, Bullseye, The Owl, Gladiator, Hammerhead, Black Tarantula and The Punisher, with the various parties gradually converging as the narrative unfolds, building and building like a melting pot that eventually explodes. The dynamic between Murdock and Fisk is interesting here, as they find themselves as unlikely, grudging allies in a prison full of inmates out to get them both. And yet, Fisk still remains the devil on Daredevil’s shoulder, trying to bring out the worst in him and make him compromise himself, because Fisk believes everyone will compromise themselves given the right amount of pressure and Murdock’s refusal to do so continually defies him. All this is ably presented by Michael Lark, who’s understated, moody pencils are the perfect compliment to Brubaker’s writing. For me, this 5-part storyline was the climax of Mark Waid’s work on Daredevil, and just about everything that’s followed has felt like an extended victory lap. Here, the themes and ideas Waid had been laying out come to a head, and the mysterious villain who has been acting against Daredevil from the shadows since the very beginning of the run is finally revealed: it’s Bullseye, but much changed, left crippled since his last resurrection with all his senses but sight utterly nullified. But with his body useless, his mind has worked on coming up with a most personal way of destroying Daredevil. Enter a great new villain for the Daredevil pantheon in the form of Ikari: a killer drenched in Daredevil’s history, given powers in a careful recreation of the accident that gave Matt Murdock his, and draped in an obscene repurposing of Battlin’ Jack Murdock’s boxing robes. It’s a triumph of design from Chris Samnee, who is brilliant and firing on all cylinders throughout the story, particularly in the central Ikari/Daredevil fight scene that takes up most of the penultimate chapter. Ikari is designed to provoke Daredevil, and it works. Bullseye wants Matt Murdock to feel fear, with all his loved ones placed in danger. But while in the last volume, this kind of story development would have been used to show that friends are a weakness for Daredevil and only leave him open to more pain, the resolution we come to here underlines just how different the mission statement for this run is. And perhaps what I love most about this storyline is the subplot with Foggy Nelson, who has been diagnosed with cancer. 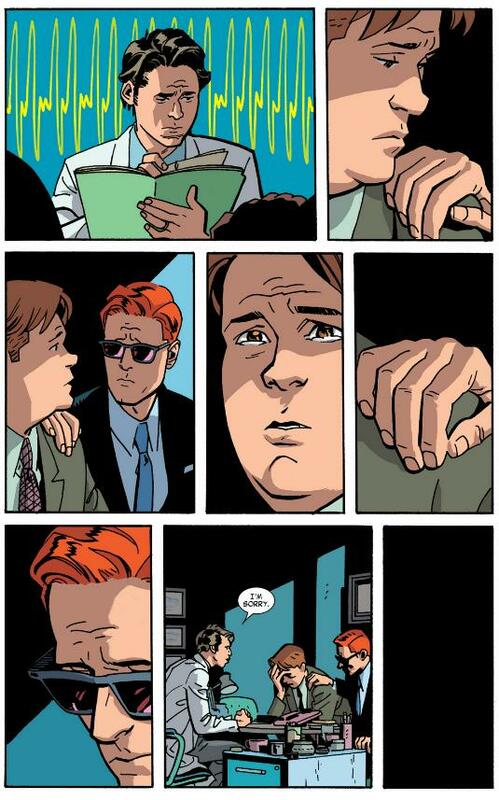 Watching Matt Murdock see his friend through his treatment creates a really touching picture of their friendship, highlighting that the relationship between Matt and Foggy is at the heart of Waid and Samnee’s run. The whole run is a classic, but this storyline deserves to be recognised as a classic within a classic. Quite possibly the most famous Daredevil story of all time: the death of Elektra. I think enough time has passed for this not to be a spoiler, yeah? I’ve got a confession to make: I’m not that big an Elektra fan. I’m more in the camp of viewing Karen Page as Matt Murdock’s true great love, and I enjoy Typhoid Mary more as an antagonistic foil. And so “The Elektra Saga” as a whole didn’t resonate with me so much as other aspects of Frank Miller’s seminal run. But I cannot deny the power of this chapter, when Bullseye murders her, resulting in a bruising final confrontation between Daredevil and Bullseye that leaves Bullseye paralysed. And yet, much of Matt Murdock’s outpouring of grief over the loss of his love would come in the following chapter. I actually view this most as a great Bullseye story, probably the greatest Bullseye story. He narrates the issue, and he crafts a picture of obsession and bitterness, with all the little slights and humiliations from his earlier clashes with Daredevil through the run weighing on him, all informing the monstrous actions he goes on to commit here. He also figures out Murdock is Daredevil, way before his identity would go public… and no one, not even The Kingpin, believes him. Of course, Elektra would later be resurrected, but the death as depicted here still has power to distress. This is a piece of comics history which still manages to feel fresh and vital. For me, “Out” is the dizzying high-point of the consistently excellent Bendis/Maleev run on Daredevil. In this storyline, Matt Murdock gets outed as Daredevil to the tabloid press, and his life is turned upside down. What immediately strikes you reading this is just how ballsy it is. You read it, and you’re thinking, “Okay, how is the genie going to get put back in the bottle here? This surely can’t actually be happening to Matt Murdock.” And then they keep pushing it further and further, and you realise there is no putting this genie back in the bottle. This is an audacious upending of Daredevil’s status quo damn near on a par with “The Anatomy Lesson” in Swamp Thing, and Bendis and Maleev do great work exploring the consequences of a superhero with a secret identity being publicly exposed, and the impact such a catastrophe would have not just on the hero himself, but on those closest to him. There’s also some potent commentary on rolling news and how the media would make a feeding frenzy out of this. “Out” is a thought-provoking exploration of what the cost of being a superhero in a world like our own may be, and the ripple-effects of this particular storyline are still being felt in Daredevil comics now a decade later. Hugely influential. Matt Murdock is volunteering at a school for the blind over the Christmas holidays, and is taking a group of blind kids on a trip. But their bus crashes, killing the driver, and leaving Daredevil stranded in a snowstorm with a group of scared, blind children who he has to lead to safety. There are no supervillains, no fights, no high-stakes save the world or even save the city narratives. Just Daredevil and these kids. And yet Daredevil has rarely felt like so much of a hero as he does here. It’s a rousing read watching Daredevil fight to bring these kids to safety, even when fighting against his injuries and his own growing panic. And most touching of all, we see that the kids themselves have strength and heroism of their own. Paulo Rivera’s art here is simply beautiful, finding detail and nuance even against the stark, snowy backdrop. This here is the high-point of Mark Waid’s Daredevil, which is itself the high-point of superhero comics in recent years. One year before the creative team of writer Frank Miller and artist David Mazzucchelli created “Batman: Year One”, regarded by many as the greatest Batman story ever, they teamed up for “Born Again,” an equally excellent (perhaps even a little better) 7-part Daredevil saga. Matt Murdock’s old love, Karen Page, has become a heroin addict, and has sold the secret of Daredevil’s secret identity. That information has found its way into the hands of The Kingpin, who uses it to systematically destroy Matt Murdock’s life, piece by piece. The first half of the story is that of a downward spiral, as Murdock’s life falls apart and he drifts deeper into the depths of despair as he loses everything. The second half of the story is a tale of rebirth, as we see Murdock rise from the ashes and piece the ruins of his life back together in a struggle to find the strength to be a hero once again. The Kingpin is terrifying here, elevated from intimidating gangster to a primal force of corruption, a force of nature like the sea, endlessly chipping away at all areas of weakness in people of all kinds, his malign influence spread throughout Hell’s Kitchen and far beyond. It’s one of my favourite depictions of any villain in any comic. Ben Urich, Karen Page and Foggy Nelson all also get their moments to shine, each given their own long, dark night of the soul and the chance to triumph over it. But this is Matt Murdock’s journey. Again, there’s very little Daredevil here. It’s another shining example of how Daredevil may be the costume, but it’s Matt Murdock, the man, who is the true hero. The greatest Daredevil story ever, and quite possibly the best Marvel comic ever. So, those are my favourite Daredevil comics. What are yours? Let me know!